Follow in the footsteps of your F1 heroes with a Formlua 1 driving experience. Jump in the cockpit of a single seater race car and take to the track where you'll live our your dreams of driving an F1 style car capable of 0-100 mph in 4.75 seconds. Available at various real race circuits and UK venues. Check out below to see our full range of Formula One driving experiences. 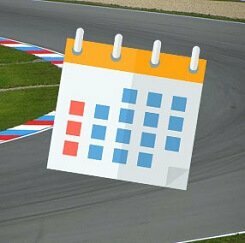 Find available dates for driving experiences with our live calendar. What is an F1 Driving Experience? 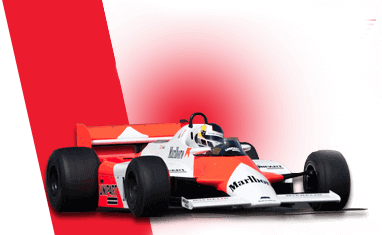 Our F1 driving experiences give you the opportunity to feel the speed and adrenaline rush of driving a single-seater open-wheel race car around a number of popular UK circuits including Castle Combe, Blyton Park and Knockhill. Experience the thrill of driving a fully prepared racing car at top speed like one of your racing heroes. Trackdays.co.uk can give you the opportunity to drive a Formula Renault, Formula Ford or a Formula F1000 car, each of which will be ready to race at the venue of your choice. These highly specialised machines are built for speed and designed to push the limits of what’s possible on a track. Lewis Hamilton, Sebastian Vettel, Kimi Raikkonen and many more can trace their racing history back to these incredible performance cars, with many championship winners starting their careers in these lower disciplines. You will be laying down rubber on the same tarmac as some of the world’s biggest F1 legends such as Michael Schumacher, Ayrton Senna and Nigel Mansell. In our Formula Renault Thrill experience, you will feel the acceleration of going from 0 to 60mph in just 2.7 seconds. Available for either 6 or 12 laps of the track, the Formula Renault is an incredibly capable racing car for those looking for maximum on-track excitement. In our Single Seater experience you will take to the Castle Combe race track in a Formula Ford single seat open wheel racer. This fantastic car produces incredible speed from its 1.6 litre engine and this experience is available for 6 laps of adrenaline fuelled excitement. In our Formula F1000 experience you can accelerate from 0 to 100mph in just 4.7 seconds. Available for either 14 laps or 30 laps, this amazing single seater will blow your mind with its capabilities as you speed around the track at the Bovingdon Airfield. Our Formula 1 experiences give you the opportunity to be the racing driver you always thought you were in the safety of a fully prepared car and on a purpose built race track. Book a Formula 1 experience with Trackdays.co.uk as a 10-month open gift voucher, or book directly on to an available date.